I am pretty sure you all are like me and love anything you can add Tater Tots too! What is it about those little squares of potato goodness that make every recipe so good! 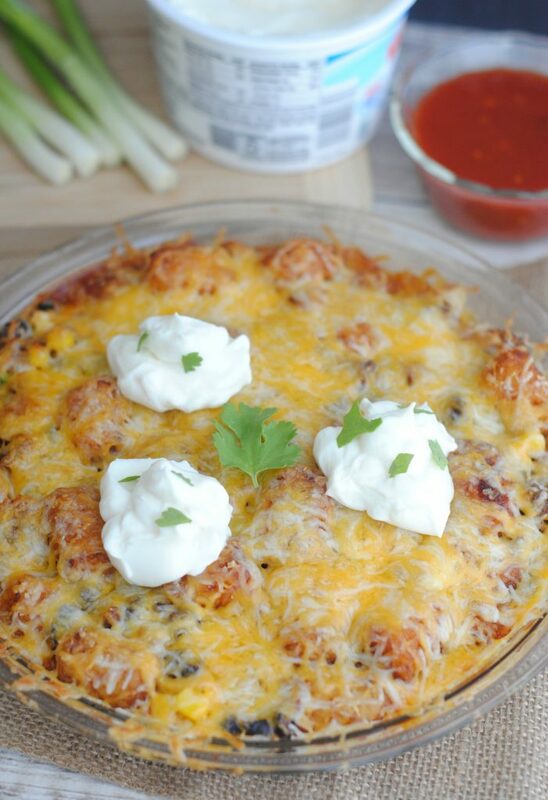 Today I am sharing a delicious Taco Tater Tot Casserole Recipe. Last week you all loved the Sloppy Joe Tater Tot Casserole so I figured I better whip another one up quickly. I wonder how many recipes I can add tater tots too…hmm any ideas for me to work on? 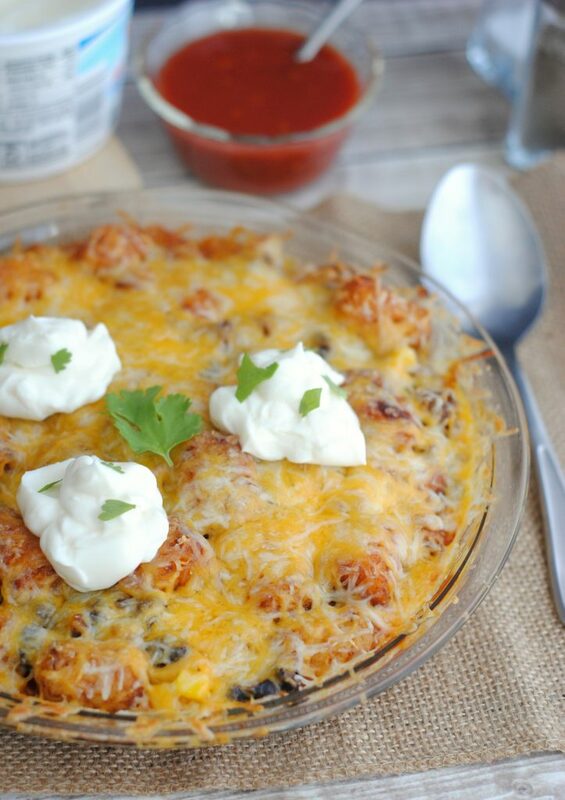 Easy cheesy Taco Tater Tot Casserole Recipe with ground beef. 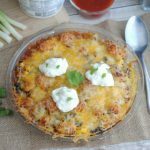 Easy, Simple comfort food perfect for family dinners. Brown the burger/turkey along with the diced onion and garlic. Drain the grease and add in the taco seasoning. 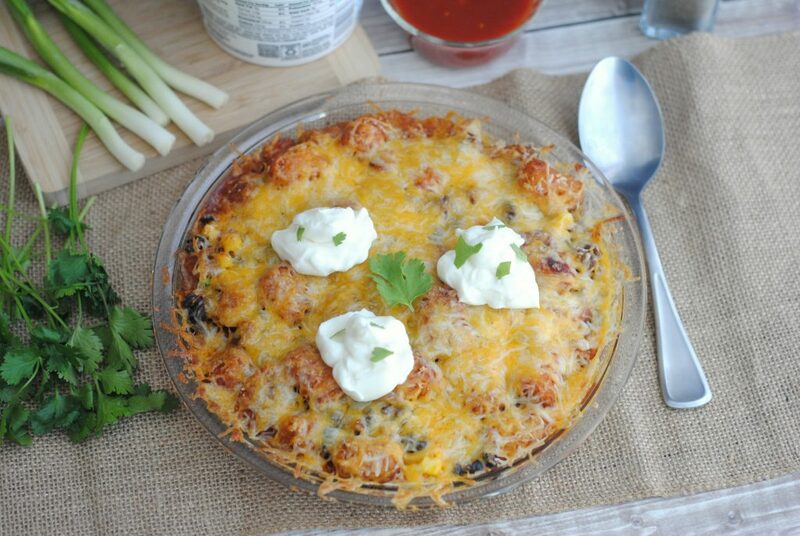 Combine the burger mixture, black beans, corn, tator tots and 1 cup of shredded cheese. Pour about 1/3 of the enchilada sauce into the bottom of the baking pan. Pour the tator tot mixture into the baking pan and evenly spread out. pour the remaining enchilada sauce on top. Bake the tator tot mixture for 20-25 minutes. Remove from the oven and sprinkle the remaining cheese on top. Let bake another 5-10 minutes or until the cheese has melted.